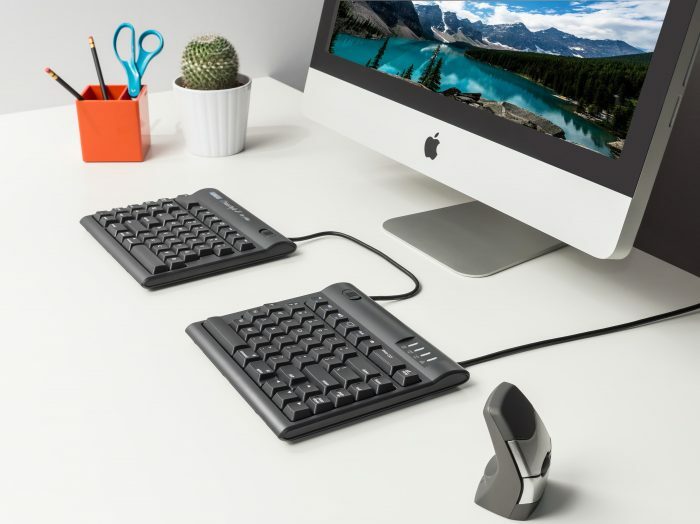 Many popular keyboards, mice and gadgets are marketed as “ergonomic”, but informed consumers should learn to look beyond the label and judge for themselves. Ergonomics is the scientific study of human interaction with devices and furniture and, more specifically, adapting a given work environment to best fit an individual in order to reduce physical stress and minimize the chance of injury. The guiding principle of ergonomic product design is that the tool should adapt to the user’s body, not the other way around. Why should I care about computer ergonomics? Anytime you use a computer input device (e.g., keyboard, mouse, tablet, or smartphone) for long periods of time the science of ergonomics becomes important due to repetitive motions. Repetitive motions, especially those that stress vulnerable parts of the body, can lead to repetitive strain injuries (“RSI”). 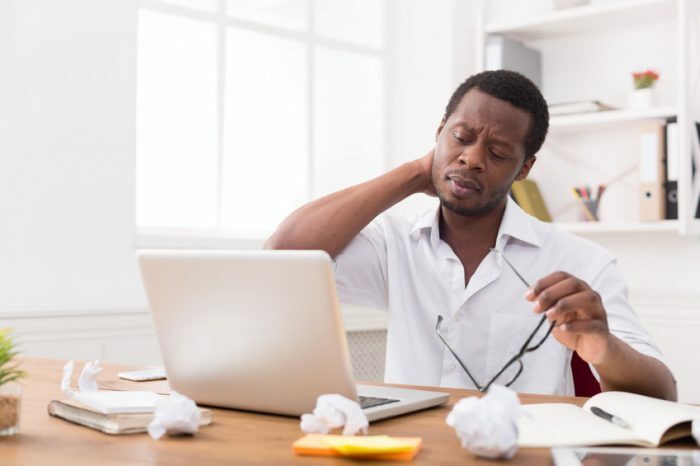 There can be a tendency to view repetitive strain injuries as nuisances or nagging pain that just needs to be dealt with, but the reality is that repetitive strain injuries are serious conditions. RSIs can result in diminished productivity and missed school/work. If left untreated, serious repetitive strain injuries like carpal tunnel syndrome can require physical therapy and, in some cases, surgery. Given the trend towards smaller computing devices designed for use on-the-go, the need for awareness about computer ergonomics and healthy computing is only increasing. Learn more about the specific risk factors caused by conventional keyboards and mice. Any profession requiring long hours in front of a keyboard puts you at an elevated risk for developing an RSI. Software engineers are especially vulnerable to repetitive strain injuries because they spend long hours coding and many programming languages require physically awkward or repetitive key-combinations that create additional stress. In today’s world it’s not uncommon for computer users to spend 8-10 hours typing at work, and then turn around and spend several hours of their leisure time in front of a computer. ALL THAT SCREEN TIME ADDS UP! Many professionals make the mistake of assuming repetitive strain injuries only affect older individuals but the reality is they can strike at any age. Many experts believe the proliferation of smartphones and video games will lead to an increase in early-onset cases of repetitive strain injuries developing from “PlayStation Thumb” and “Nintendotenitis”. So what can I do to stay healthy? The best way to avoid repetitive strain injuries is to be proactive. DON’T WAIT UNTIL YOU’RE IN PAIN! It’s easier to prevent the onset of RSI symptoms than it is to heal them after they manifest. Developing good habits now will lead to a lifetime of healthy computing, regardless of your profession. Every time you sit down to use a computer check the workstation to make sure it is ergonomically optimized for YOUR body…not the last person to use it (see our tips on configuring your ergonomic workstation). Make it a habit to take frequent micro-breaks from the computer. Walk around and stretch, get a glass of water, or just simply look off in the distance to rest your eyes. If you do start to experience pain, discontinue the activities causing the pain and contact a certified ergonomist for an evaluation or see a doctor. DO NOT TRY TO PUSH THROUGH THE PAIN! Be aware many products are labeled as “ergonomic”, but only a small percentage of these products have actually been studied and endorsed by an ergonomist. Before you buy a so-called ergonomic product actually try it out for an extended period of time, read reviews and research the claimed benefits. Kinesis feels so strongly about this that we stand behind all products sold on the Kinesis Store with a 60 Day-Guarantee.